Wholesale Doll Clothes will be closed from Wednesday April 17th untill Monday April 29th. Orders Received after noon on Wednesday April 17th will be processed when we re-open Monday April 29th. The Web Site Will be open while we are closed. Orders placed while we are closed will be processed when we re-open on Monday April 29th. We are a wholesale business and sell to retail outlets only. The price of these new outfits is being kept down to enable you to offer your customers the very best value All our clothes are made of the finest Materials. Need your own designs? If you have a design you would like let us know. Satisfaction Guaranteed. We can offer even better prices for large orders . If you are looking to buy in large quantities click on the Discounts link for details. We are only a phone call or e-mail away. This website is for business only. You have to be a member with a membership number for your order to go through. If you are a business and wish to purchase our products. Please register first. Go to https://www.wholesaledollclothes.com/index.php?main_page=login [ Stroll down the page and fill in the application form. There is a minimum of three per item on Doll shoes. No minimum on Doll Clothes Socks and Tights. There is no minimum on accessories. If there is a minimum on a doll accessory it will tell you when you order. 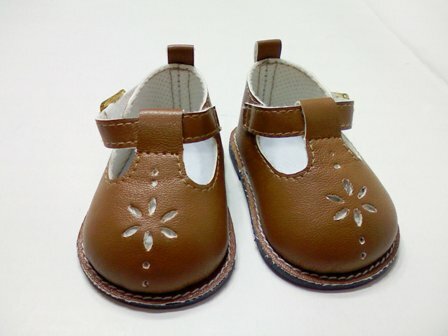 We design and make our doll clothes, doll shoes doll accessories for 18-inch dolls like the American Girl® Dolls. Gotz, Our Generation Dolls. In addition, we design and make our doll clothes and doll shoes for 15" - 16" dolls like the American Girl® Bitty Baby® and Bitty Twin®. These are our own exclusive designs. Many of our designs are up to date modern designer fashions as well as traditional doll clothing.